Striking a balance between what we’d like to have and what we know is good for us is not always easy. The same rings true for adapting our environment to our needs. But, when it comes to providing “hard standing” in an eco-friendly manner or “eco-parking” if you will, then Grass Blocks from Killeshal Precast make it easy. In this part of the world we are far from being blessed with the endless sunny days of Southern California. Any given day across the UK and Ireland can start with glorious sunshine and descend into a rain-soaked mire by midday. That presents two problems, really. On the one hand, it necessitates the provision of something other than a grassy area for things like vehicle parking, as this will quickly become a muddy mess after heavy rain. But it also presents the issue of clearing away the resultant surface water. The simplest answer… Grass Blocks from Killeshal Precast. 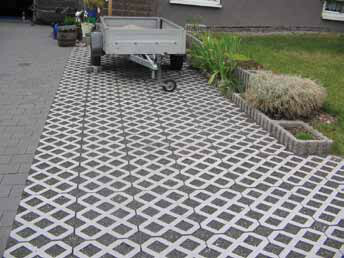 Grass Blocks (or Grass Grid) provide a solution that could most definitely be termed “eco-parking”. 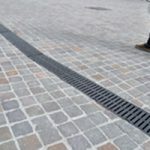 This product provides excellent hard-standing, but maintains a degree of grassy ground which is both aesthetically pleasing and very environmentally friendly, in that it allows surface water to pass through. 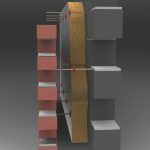 Killeshal Precast provide a range of Grass Blocks and similar solutions which can be used as the hard standing element in various surface water management systems. 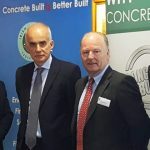 Whether these systems are intended to provided surface water infiltration or attenuation or anything else, or technical team can help and advise you on the most appropriate solution for your property or project. Contact our team at Killeshal to see how Grass Blocks sustainable drainage systems from Killeshal can provide an eco-friendly solution to suit your project specifications.